HomeA Topeka tri-cluster makes news changes in recent months and “Kansas First News” is one of them. A Topeka tri-cluster makes news changes in recent months and “Kansas First News” is one of them. FIRST ON THE BLOG: This took place within the last week or two and I haven’t noticed it, but a tri-cluster duopoly has made changes to its news operation. Here’s all the details. First, KSNT 27, KTMJ 43 and KTKA 49 were all broadcasting local news under Kansas First News. As of yesterday (as of this post), that branding was dropped for KSNT News with new graphics and new music. Which means, now there is KSNT-related branding on all 3 stations. All of these changes were made due to Media General now owning KSNT 27 and KTMJ-CD 43 with KTKA 49 owned by Vaughan Media, LLC but operated by M.G. due to a JSA and SSA. 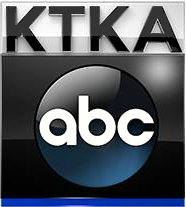 Next, KTKA 49 discontinues the weeknight 6:30 p.m. newscast that it was held since KFN started. It’s now replaced by Family Feud with Steve Harvey at 6:30 p.m. and now, nobody is on for local news at that time, since KSNT 27, WIBW 13 and KTMJ 43 all air other syndicated programming. The final change is that KSNT 27 has now added a weekend edition of the 9:00 p.m. half-hour newscast that was already on for KTMJ-CD 43 on weeknights. Now titled, KSNT News at 9:00 on FOX 43, it’s now the only newscast on at 9:00 p.m., 7 nights a week. It’s been a while since I checked this market, but now I am officially caught up. ← A lot of changes in Western Colorado, specifically with KREX, KFQX and KGJT. It seems like TV station have been cutting newscasts lately. Do you see a lot of TV stations this year cutting newscasts. This is only January of this year do you think there will be more TV stations cutting news this year then adding news this year? There are normally more TV stations adding news then cutting news. Its going to be pretty scary if there are more stations canceling news then adding news. When stations cut news its a step backward instead of forward. There has been proposed rules by the FCC that would make sure local TV stations are serving the interests of the local community I think if there was such rules TV stations cutting local newscasts would go against the interests of the community but such rules proposed by the FCC have been fought because of big media and money. Hmm… I don’t know. We’ll find out and see. I see it as a market-by-market basis. The re-brand is a recent change, within the last seven-to-ten days. Topeka is a messy market with limited revenue potential, and almost no growth in the last 40 years. Yeah, I do have to agree on that. Topeka is a much smaller market, compared to Savannah or Baton Rouge or Charleston. I really don’t see that market growing anytime soon. By the way, do you work for WDAF-TV FOX 4? I see that you have linked your profile to the FOX4KC.com website. Just curious.